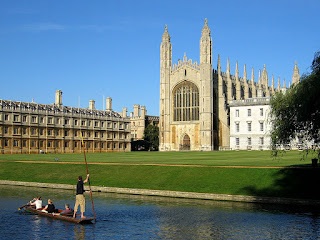 People preparing for university interviews may find this article (by a Cambridge interviewer) of interest. 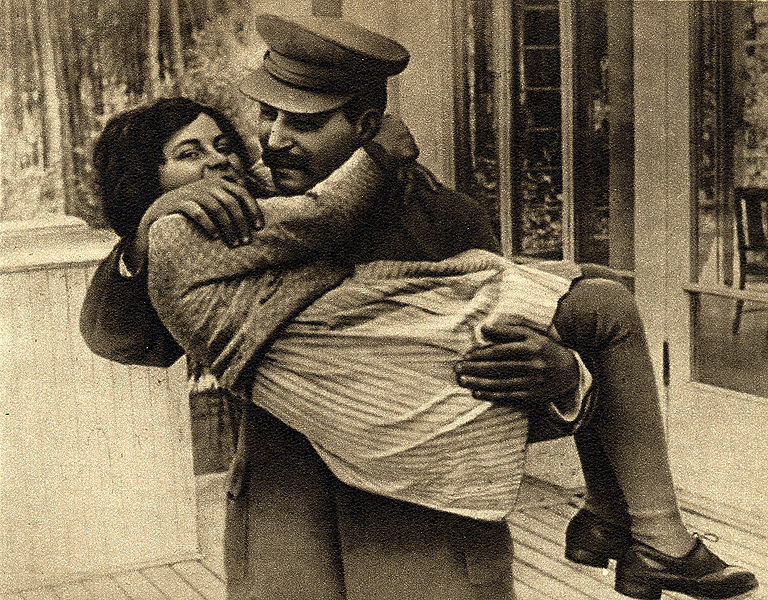 Svetlana Peters, Josef Stalin's daughter, has died in the US aged 85. Her life was fascinating (and very complicated!). 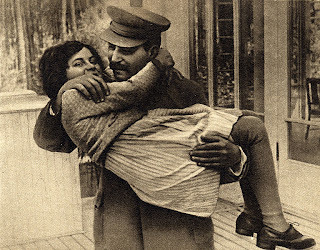 She was the only daughter of Stalin and Nadezhda Alliluyeva, who committed suicide in 1932. She was married 3 times in the USSR - her first marriage was at the age of 18 against her father's wishes to a Jewish student who was later sent to a labour camp. In 1967 the CIA helped her to escape from the Soviet Union - she then denounced communism and called her father a "moral and spiritual monster". She married again but continued to move around - she even went back to the USSR for a short while to be reunited with her children before returning to the USA and writing her memoirs, "Twenty Letters to a Friend". It will be interesting to see how Russia reacts to her death given their somewhat ambiguous attitude towards her father. 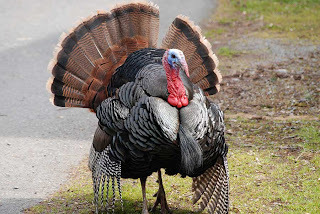 Here is an excellent blog post from Mark Mardell analysing the current state of the Republican candidates after their latest TV debate. The debate focused on national security - Rick Perry and Herman Cain appeared to be like "schoolboys who had desperately mugged up on their homework" whereas Michele Bachman came across better than on previous occasions whilst Jon Huntsman was "masterful...for all the good it will do him". 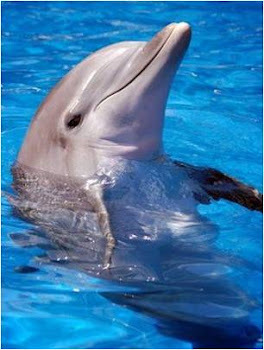 It is also worth reading to find out what "Mitt" Romney's real first name is! There is some further good commentary on the state of the Republican race here (from our colleagues in Sutton) which refers to this article, and here, assessing some of the candidates not running in 2012 and their reasons why. This month's Total Politics magazine is now available in the History & Politics Reference roon and includes an interview with the Shadow Chencellor, Ed Balls, along with an in-depth article about the Chancellor, George Osborne, both of which are well worth reading. Other interesting articles include a debate on the value of international aid and a look at the top 100 political jouranlists in the UK (only two women in the top 20 so some scope for improvement by budding journlaists at Nonsuch!). 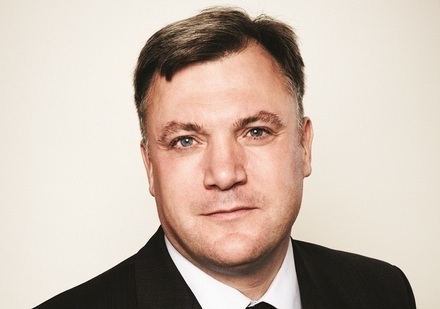 Also, if you are looking for some ideas for your Christmas stocking, a list of the top political books from the last 12 months with something for everyone - 'Ed', 'Thatcher in her own words' and even 'Nick Clegg - the biography' - Happy reading! 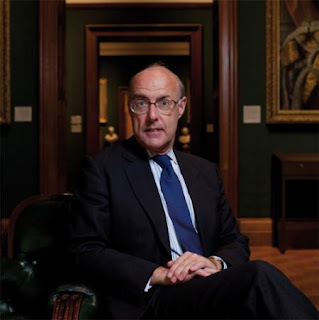 One of Michael Gove's advisers, the historian David Cannadine, has published a paper this week - "The Right Kind of History" - on how History should be taught in British Schools. In it, he suggests that the problem with current teaching is not the type of subjects taught, but the length of time they are given, and that History should be made compulsory up to the age of 16 to fit this all in. He points out that Britain and Albania are the only countries in Europe which do not make it compulsory beyond the age of 14. He explains his point of view further in this article from the Guardian and in this interview from the Today Programme. Michael Gove has invited several historians, including Richard Evans, Simon Schama and Niall Ferguson to consider reforms to the curriculum. It remains to be seen what steps will actually be put in place. What do you think should be done? UPDATE: Check out this fantastic audio slideshow where various ex-history students talk about how they were taught from the 1930s through to the 1960s - there are lots of photos of history classes and textbooks (complete with scribbles). You also get to learn a useful way to remember the medieval kings of England, and find out what a Baldric is! It's well worth 4 minutes of your time. There are plenty of good history programmes to watch at the moment. On Tuesday Ian Hislop presents "When Bankers Were Good". He investigates some of the wealthiest Victorian bankers who were also very impressive philanthropists, donating much of the income to good causes and campaigning on social issues such as housing and care for deprived children. George Peabody, for example, provided a huge donation to build affordable housing for London's poor, and today over 50,000 people still live in homes supported by the Peabody Trust. Samuel Gurney used his banking wealth to support the work of his sister, Elizabeth Fry, who campaigned for prison reform. As you can guess from the provocative title, Hislop suggests that today's bankers could learn a great deal from these eminent Victorians if they wish to improve their image. Also on this week (tonight in fact) on Channel 4 is a documentary about Alan Turing - "Britain's greatest codebreaker". 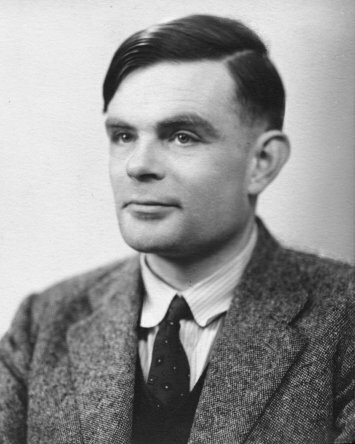 Turing (shown above) was an exceptionally gifted mathematician who was instrumental in helping to break the Enigma code during World War 2 through his development of computer programmes which could run through thousands of possible code combinations every minute. He should have been recognised as a national hero but instead was arrested for "gross indecency" in 1952 - his crime was to be gay at a time when homosexual acts were illegal. Two years later he committed suicide because he had been driven to despair by his treatment - a terrible waste of a great talent. Also recommended on iPlayer - "Double Agent: The Eddie Chapman Story" - a fantastic tale of a former safe-breaker who was recruited to spy on the Germans, while convincing the Germans he was spying for them at the same time - he was so good that they even awarded him with the Iron Cross, and all the time he was passing secrets back to the British. If you spot any more good history programmes, please let us know! 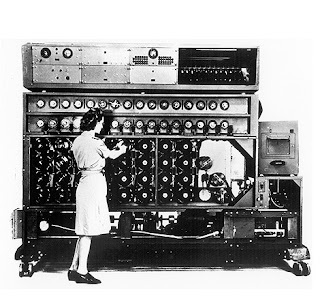 Here is a fascinating story about how a British-born employee of Google took an interest in preserving Bletchley Park, the centre of the British code-breaking operations during World War 2 which was able to crack the German Enigma code and provide the allies with a huge amount of information about their opponents. Because the activities at Bletchley came under the Official Secrets Act, very few people knew about what took place here until quite recently, and there was a danger that the whole site could have been demolished to make way for a supermarket. Partly thanks to Google's help, Bletchley's future is now much brighter and it is well worth visiting this historic site (close to Milton Keynes) which had a significant effect both on the end of the war and the beginning of the computing industry. It has been revealed that recent X-Factor contestant Ashley John-Baptiste recently completed a History degree. You can read more about his impressive story here. Born in South London, he was taken into care at the age of 4 and found it difficult to settle into school. 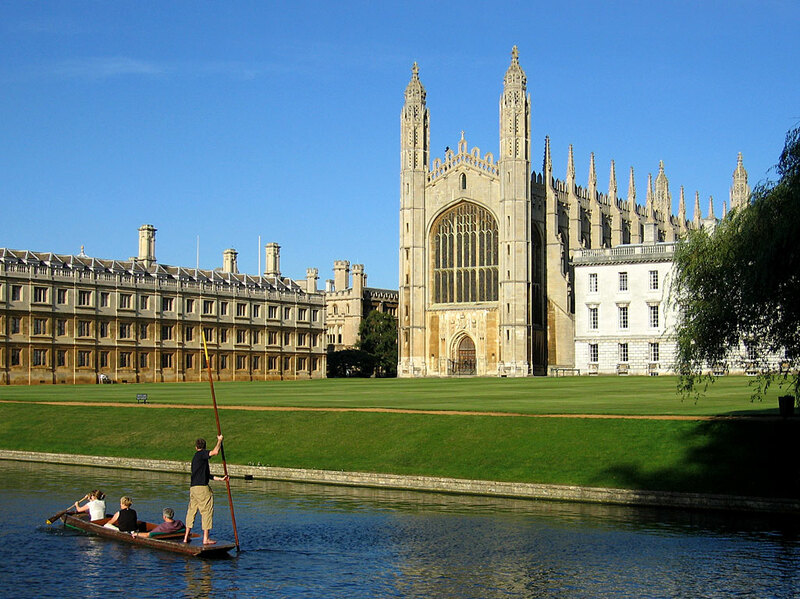 Eventually, however, after being given a "final chance" by his head teacher when on the verge of exclusion from secondary, he focused on his work and, with the support of his MP, got a place at Cambridge (Fitzwilliam College) to study History where he got a 2:1. Are there any others in the music industry with similar qualifications? You can see more of this in the BBC's Art of America programme (on BBC4 and here on iPlayer) and in this exhibition at the Smithsonian Musuem in Washington DC. 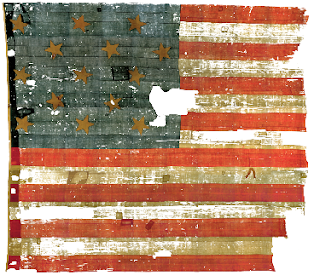 PS: The flag above was used in 1814 during the war between the United States and Great Britain (Confusingly known as the War of 1812!). It was raised to celebrate an American victory over the British at Baltimore and was the inspiration for Francis Scott Key to write the national anthem - the Star Spangled Banner. Thank you very much to Dr Rosie Campbell, Senior Lecturer in Politics at Birkbeck, University of London, for coming in to talk to Nonsuch Politics students today. Her fascinating talk about voting behaviour and gender gave us all a real insight into the electoral system in particular and the political system in general. 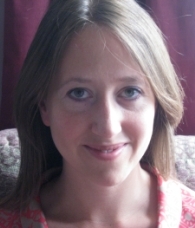 If you want to know more about her work, here is her Birkbeck site and here a link to her article in the Guardian re women and voting in the 2010 election. 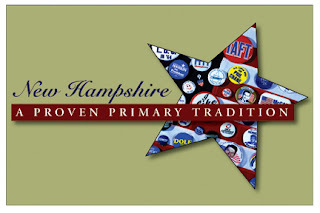 New Hampshire has now named the date for its presidential primary - 10 January 2012. After some confusion and bargaining between states, the early primary calendar looks like this. Keep an eye on sites such as this to see how the Republican candidates get on in their race to secure the nomination. 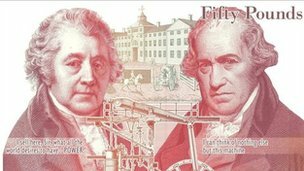 A new £50 banknote has been issued today by the Bank of England. On it are the portraits of Matthew Boulton and James Watt. Boulton (1728-1809) was an industrialist and entrenpreneur, and Watt (1736-1819) was an engineer and scientist, who, amongst other things, introduced the term "horsepower" and had the metric unit of power (the "watt") named after him. With Boulton's backing, Watt developed the industrial steam engine, using his machinery for the spinning of cotton and even the minting of coins. You can see one of their original engines in operation here (it's now in a museum in Sydney). £20 - Adam Smith, economist who wrote "The Wealth of Nations" and proposed the theory of the division of labour. There's also a link to this great list from the Bank of England of future candidates for banknotes, including Geoffrey Chaucer, Olaudah Equiano and...Sir Jimmy Saville. You can nominate your own candidates, and we think there is rather a small number of women on the list, so get writing in!